The 20th century produced a variety of newly discovered animals and other species - but none created such a stir as the coelacanth. On 22 December 1938 the curator of the East London Museum, Marjorie Courtenay-Latimer, was at the harbour to examine a new catch. Most of the fish set aside for her were sharks that she already had - but a strange shape lying beneath other fish attracted her attention. It was a an unusual blue colour - but all the more strange was the shape of the fin: it appeared to be attached to the tip of a short lobe that didn't resemble any organ of any living fish known to science. On this sweltering summer's day Courtenay-Latimer had difficulty persuading a taxi-driver to take this large, smelly fish to the museum. Lacking the facilities to preserve the specimen intact, she had the organs removed and the animal stuffed. She made a sketch and together with a short description sent it to Dr J L B Smith, an ichthyologist at Rhodes University in Grahamstown. Smith found the letter among his Christmas mail. He immediately recognised the fish - but at the same time could hardly believe that his deduction was true. 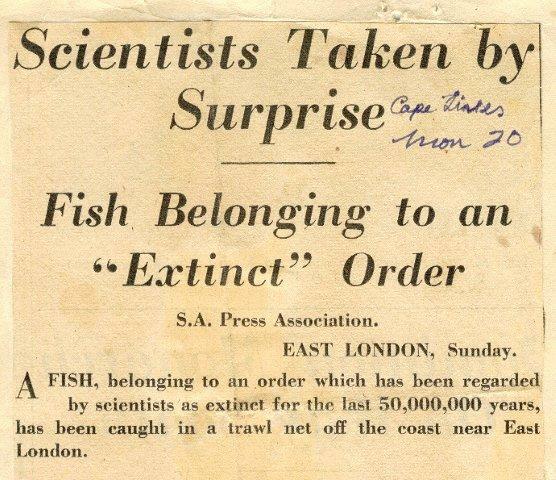 Up to this time, evidence that this fish had existed had only been found in the fossil record. However, the strange, fleshy fins were indeed typical of coelacanths, a group of fish that - according to existing scientific knowledge - had died out millions of years previously. After having seen the stuffed fish, he could confirm that it actually was a coelacanth. He paid tribute to Courtenay-Latimer by naming the fish Latimeria chalumnae. 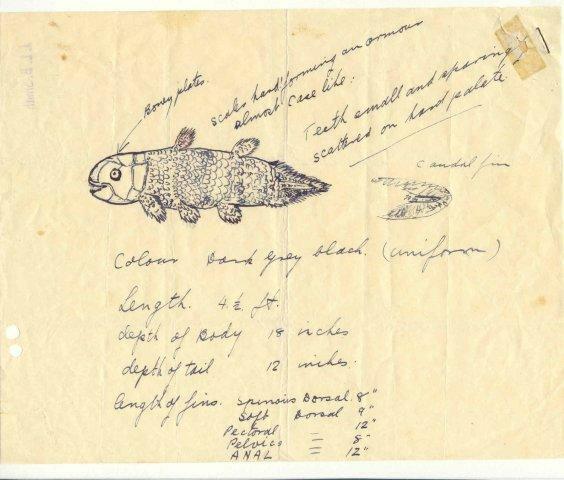 On 23 December 1952 - some 14 years after he had heard of the first coelacanth and subsequently posted a reward for any further discoveries - Smith received a telegram from Captain Hunt that on 20 December a second specimen had been caught in the Comores. He realised that he had no way to bring the fish to South Africa and made a desperate plea to the then prime minister, Dr D F Malan, who agreed for an air force Dakota aeroplane to be put at Smith's disposal. 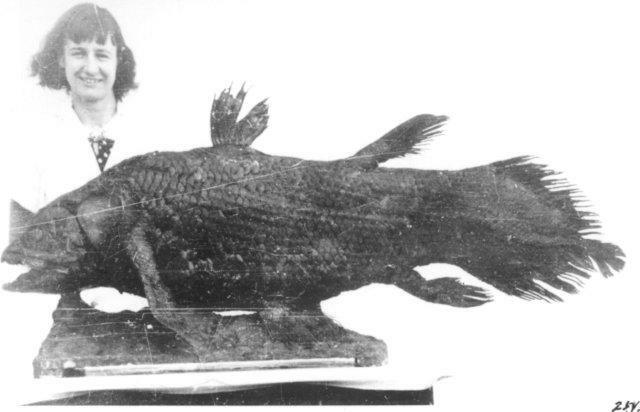 Smith later told the story of the rediscovery of the coelacanth in his famous book, Old Fourlegs. 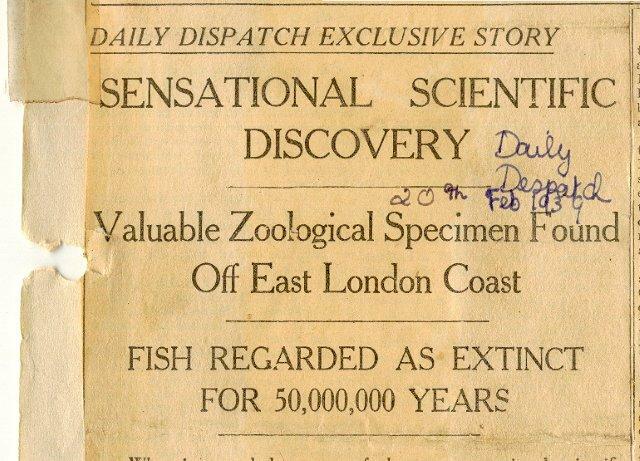 To trace defining moments in the coelacanth quest and the development of this institution go to Milestones.